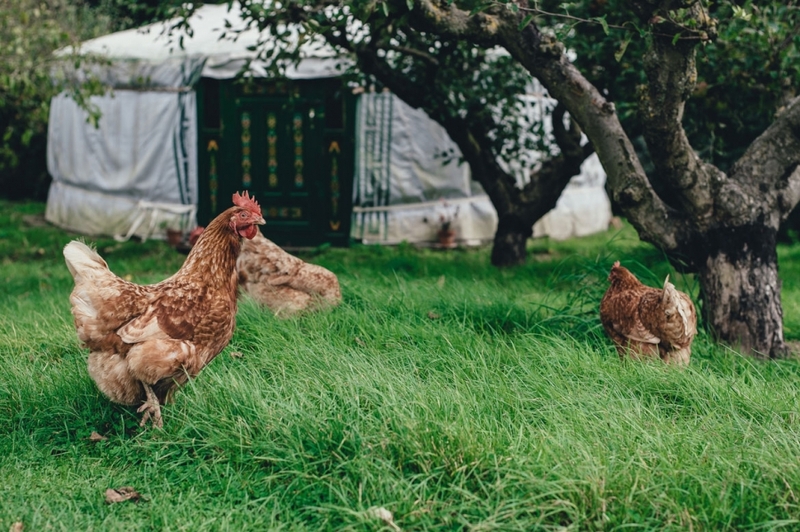 People who live in urban and suburban environments are turning to homesteading to become more self-sufficient, depending less on a system that has grown out of touch with reality. People who live in cities and suburbs are becoming aware and empowered to find ways to unplug from cycles of dependency and consumerism. By changing their perspectives and priorities, they’ve been able to look at their lives and resources in ways that make them producers of their basic needs, rather than consumers. Homesteading encompasses more than just food production, it is an entire way of living which strives to make all aspects of a person’s life more sustainable and self-sufficient. Trying to live a self-sufficient life in an urban environment can be extremely difficult. City dwellers are almost entirely reliant on imported resources—food, water, electricity, clothes—and many lack the space or legal ability to grow their own food and raise useful farm animals. More important than this, many have never even considered making things they need themselves. Where does shampoo come from? The store. Due to this systemic dependency, urban residents are most vulnerable during natural disasters, droughts, food price spikes, and political conflict with countries that produce a bulk of our every day goods. It has been calculated that the average American foodshed (the distance that food travels from farm to plate) extends 1,500 miles (2,414 km). Traveling even further to reach domestic stores are our appliances and clothing, a bulk of which are manufactured in developing nations. This method of distribution requires a deplorable amount of fuel—which is costly, environmentally degrading and unsustainable as petroleum sources wane. A recent focus on urban farming is one response to an increasing awareness of where our food comes from and what is being added to it. Beyond animal cruelty, chemical preservatives and flavorings in processed foods are making their way to news headlines—such as pink slime, or the most recent scandal of lye-tainted milk in China, discovered just this summer. Homesteading emphasizes reducing the need to purchase items as much as possible, looking instead to natural resources which can supplement many of our necessities and even luxury items as well. After all, homesteading is not about living without, but rather is centered on natural, sustainable alternatives. There are a plethora of free resources available to us throughout the year. For example, City Chicks, a homesteading family in the UK, has taken advantage of their naturally wet climate by linking up three barrels holding 150 gallons of rainwater which is filtered and pumped through a second water piping system that runs throughout their house. Read our interview with City Chicks. Power from the sun can be harnessed and used in a variety of different ways to provide heat and electricity to a home and power appliances, and even be used as a method of passive cooking through solar ovens. Effective recycling systems can be implemented by establishing a compost heap— converting waste into rich soil fertilizer. Compost can generate so much biothermal heat it can even be used to heat water heater. By running a pipe through a heap, water can be heated up to around 130-140 degrees. There are also a variety of value added items which people can make themselves, such as growing and milling grain to make homemade bread or raising your own source of meat, eggs and dairy products. During low growth winter months, jarring and canning can preserve the inevitable surplus produce that can be grown from even a minimal amount of growing space (how many plums can one really eat?). While you are saving money—why not make some? A small plot of land the size of a backyard can produce an abundant amount of food. In Berkeley, California, a 650 square foot backyard managed by urban farmer Willow Rosenthal successfully feeds five families from the surrounding neighborhood. Read more about Willow’s urban farm and other backyard farm success stories. Surplus produced from a garden can be bartered at communal food swaps or sold to neighbors, at local farmers markets or even other food retail stores. Movements to establish city regulations favorable to urban agriculture by legalizing the sale of homegrown produce have been initiated by both grassroots organizations as well as from within city governments. Read more about how cities are changing laws to make way for urban agriculture. Ample resources for aspiring urban homesteaders are made available, through classes and home tours hosted by urban homesteaders, as well as online. CityFarmer.info, one of the first websites to profile information about urban homesteading, provides hundreds of pages of their homesteading experiences as well as stories of other urban farmers and homesteaders across the globe. City Farmer also offers tours of their homestead in Vancouver, British Columbia, which boasts a living roof, compost toilets, organic produce garden, water conservation system, vermiculture and food scrap composting and many other sustainable living practices and amenities. The Urban Farming Guys is yet another valuable online resource, which posts a video series documenting the ambitious undertaking of a group of families who have relocated to one of the more destitute inner-city Kansas City neighborhoods in order to bring urban agriculture and other self-sustaining systems to the neighborhood. Through their videos, the Urban Farming Guys share simple how-to methods of urban homesteading which produce high yields of food and energy, are easily accessible for anyone to carry out, and are overall self-sustaining—requiring few additional inputs and labor after set-up. The Urban Farming Guys have taken on a variety of different projects, such as their aquaponics tank, which provides them with both food and fuel. Through a symbiotic growing system, fish waste is used to fertilize vegetable plants which in turn purify pollutants from the water. Waste generated from the fish pond is also put through a bio-digester, capturing the waste’s methane output, which is then used to heat the Urban Farming Guys’ greenhouse or converted into electricity through a generator. The group’s goal is to build a healthier community around urban agriculture by building green spaces for their neighbors to enjoy, reconnecting people with skills that produce food and shelter—thus lessening some financial burden in a primarily low-income neighborhood—as well as creating local jobs in urban agriculture. Everyone can become an urban homesteader on some level—whether their goal is to become as self-sufficient as possible or simply to save on some bills by growing some fruit and veg or installing solar panels and low flush toilets at home. Urban homesteading entails a change in lifestyle that is more conscientious of how many available resources we waste or do not fully utilize as well as the things that we spend our money on which we could produce ourselves. Homesteading connects people with the skills we need to maintain a comfortable, viable way of living that is environmentally responsible and sustainable.